I found the Greeks very rude and on asking others what they thought they also found them rude and not very willing to help let alone give you the time of day. All I could think was people must have got a real shock when the Olympics where on. Even walking down the street old men in their cars will stop and stare and suggest that you might like to hop in and you know what. Bloody awful. I only spent the 1 day in Athens and that’s honestly all you need. The Acropolis and other monuments up on the hill majestically looking down on the city have scaffolding all around them and have for years now, only being taken down for the Olympics and promptly erected again when they finished. It was disappointing as I didn’t know this and consequently my photos of the Acropolis are not good. Still it is an awesome site to visit and so is the surrounding archaeological site below. Athens is one of Europe’s oldest cities. It is despite the stares and rude gestures a safe city but like all cities do keep out of certain areas after dark. They have an array of restaurants and I love trying the different cheeses. Piraeus is the port you hit in order to get a ferry to the islands. It’s busy and not very clean. I only passed through on my walk down to the port to catch the boat to Santorini. What a gorgeous island. The white washed buildings just look so stunning when the sun is going down and you can see why the tourists visit, if for nothing else but the sunsets. 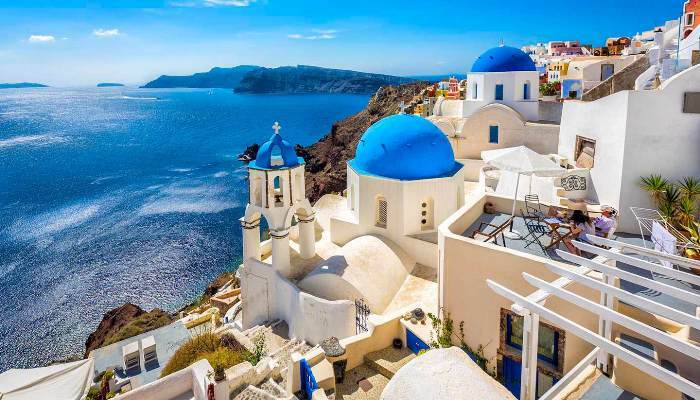 The village of Oia in the north of the island is where you will get the sunset photos you have always wanted. Every night this little village becomes crowded with people and whatever means of transport they have used to get there. Head in the opposite direction and go to the site of Ancient Thira. It’s windy up here and you have to zig zag your way up but then you are rewarded with marvellous views north and south. There is also Ancient Acrotiri and Museum of Prehistoric Thera. After visiting these take a day boat tour to some neighbouring islands. 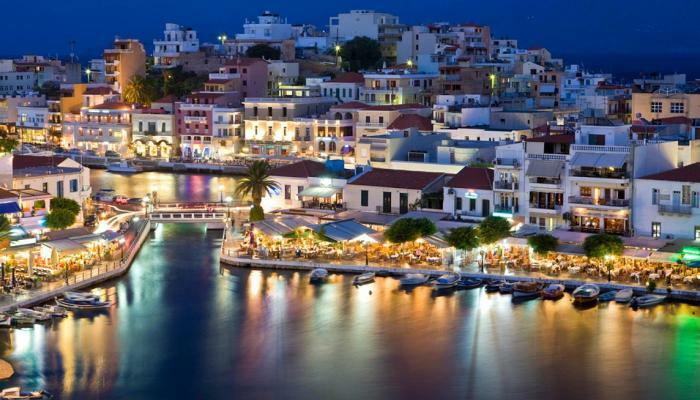 Crete is the largest of the Greek Islands with Heraklion the largest city and the capital. You can visit the Minoans sites of Knossos, which is large, and Phaistos. There’s the Venetian old city and port of Chania, Rothymno the Venetian Castle and the Samaria Gorge. There is one ton of history here, from the Neolithic Age to the Byezantine Empire. This lovely island has many rivers, plains and mountains. In winter its snows which is quite a contrast to the summer where tempartures can be in the high 30s. (Celsius) Beautiful clear waters surround the island and tourist flock by the thousands. Known for its dates, wines, dances and hikes to ancient sites, it is an island where hiring a car is a great idea. But probably what comes to mind for lots of people when you say Crete is The Battle of Crete which began 20th May 1941. My late father-in-law was to fight in this battle. Today there are still the caves which soldiers lived in during this battle and on my next visit there I will endeavour to find the one my father-in-law was in. These caves also draw many visitors to the island. Take a walking tour to the Acropolis and surrounding ancient sites. A visit to the museum is interesting even before you get inside. I will leave it for you to find out what that is. The museum is closed on Mondays. Be prepared for rude people. It is a pity that the Greeks are not very friendly. Maybe they just see so many tourists that they don’t care anymore. There are a lot of areas that are a bit dangerous after dark so I just made it my own rule to have company if out after dark. Use the metro system, it’s easy, cheap and quick. This is the best way to get to the port for catching that all important boat to the islands of Greece. No need to book. On Santorini Island hire a scooter or ATV. They are reasonably priced and this is the best way to see the island. You can hire jeeps or scooters to. Take a day trip on a boat to see other islands just off the coast of Santironi and hop off early and take a donkey ride up the hill. The best way I think to see Crete is to hire a car and take at least 8 days. It’s a big island and I had to cut my visit short because of a good dose of the flu but next time this is the way I will see it. Finding an internet cafe is near impossible but most hostels and hotels have wifi. I was lucky to find an internet cafe in Heraklion but that was after asking a waiter at a restaurant. They tend to be the best people to ask and most waiters speak English.